Many things that are often heard on International News has quite often intertwined with my personal life in weird aspects one way or another over the years. Prince was no different. I actually had a ‘once in a lifetime’ opportunity to go to a private Birthday party in Marbella, Spain where both Prince and Michael Jackson were the ‘private entertainment’ at this party that I speak of. 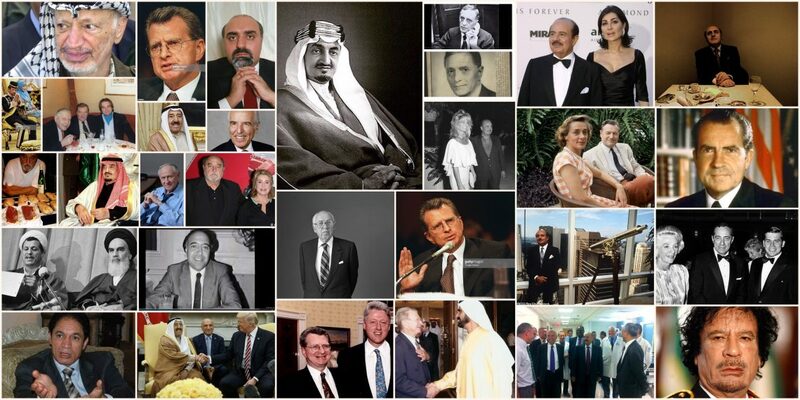 Thanks to the close friend of my Dad’s of 30 plus years, the former Saudi Billionaire Adnan Khashoggi. It was during the Summer of 1988. Sometime in June, I had arrived back home in Brooklyn Heights after living in Honolulu, Hawaii for the prior 10 months as I was ‘playing and working’ during my ‘year off’ after graduating from Prep School in Massachusetts the Summer before in 1987. I remember my Dad telling me that we had quite a bit of work to do, with regards to go shopping and get myself a tuxedo. Sadly…something came up which would change all my future plans with regards to this incredible party that I was getting ready to attend. I began to ‘not’ feel well. Even back then during that time, which I remember quite well, it was very hard for me to say ‘no’. Then of course as we skip ahead to today 2016, as well as thinking back to 2009 I believe it was when Michael Jackson passed away and now today April 21, 2016 hearing the news of Prince passing away…it is news like this, International Breaking News, that once again, make me reflect upon my own ‘personal life’ and how another major *Super Star* has passed, while at the same time bringing a very personal memory to me of what could’ve been. I used to wonder: Would I have been able to meet both Prince and Michael Jackson in person? Would I have been able to have my picture taken with them? Would I have had my own pictures with them or of the party? Lots of unknowns. Yet, the idea that the answers perhaps could’ve been very real of a “Yes”, is what makes this part of my life even more intriguing with regards to the passing of Pop Star Prince. Yet…even as I reminisce about this time in my personal life having to do with Prince, another part of me is reminded that; even though in the end I never did make it to Marbella, Spain for the Private Party where Prince and Michael Jackson were performing; At least I am able to ‘do’ something that no other person on the globe can do during such a sad time like now: That is; to think back to a ‘once in a lifetime opportunity’ that I had, and no one else on the planet ever had. And that is,… the fact that I was invited to a personal, private party in Marbella, Spain back in 1988, where Prince was performing, and god only knows, perhaps I could have had even more memories having to do with this one incredible talent and superstar! Whether meeting him in person, and seeing him live at a private party of my Dad’s personal friend Adnan Khashoggi …who knows what could’ve been? Yes, it is true I will never know. Yet again, the idea that the ‘opportunity’ was there….I am still grateful that it was me with that ‘opportunity’, and thus, Prince’s passing, is even more meaningful to me today then ever before. You will be missed and remembered always, Prince.